perceptionsense: Turning Down the Volume to "See"
Turning Down the Volume to "See"
For years, listening to the radio while driving has been misconceived as a driving distraction. A study done, by the University of Groningen, shows that listening to music while driving actually has little effect on driving performance. 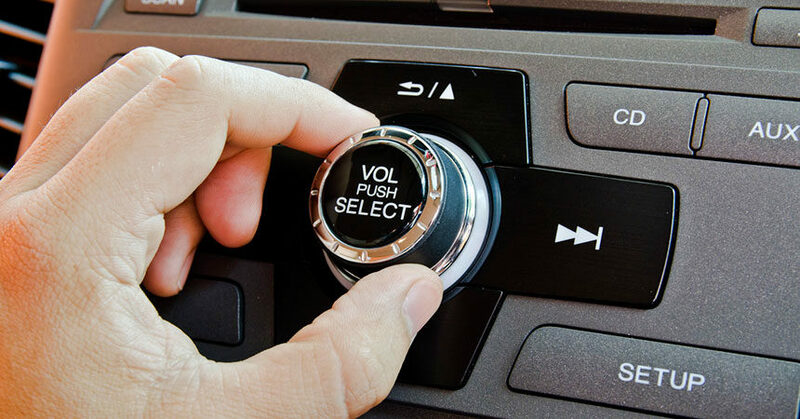 I personally feel like I can drive better while listening to music, but once I am in an unfamiliar area looking for my next turn I immediately reach to turn down my volume to “see better”. I have seen several social media posts about people who share a common habit, but how does the radio affect our ability to navigate directions? How stuff works states that it has to do with our brains ability to concentrate. Turning down the radio is our brains natural reaction when you find yourself lost. When the brain combines all the information from our primary senses, it has to decide how to proceed on its primary task. This is called encoding, and the brain chooses one task to primarily focus on, and less focus is given to its secondary tasks. Turning down the radio allows our brains attention to switch more easily, and eliminates a task from its focus. This is a very interesting post as I see this topic all over social media as well. I figured it had to relate to concentration rather than "seeing better". However, I was unaware it had to do with encoding and primary and secondary task focusing. Oddly enough, I have met a few people who say that the radio does not bother them in this type of situation. I could assume that these people are good multitaskers and are able to focus their brains on two things at once, whether they are primary or secondary tasks. Great post! I always do this as well! I love driving and blasting the radio, it is never a distraction to me until I get to an unfamiliar place. When I do not know where I am going or I am following a GPS with a lot of turns, I always turn down my radio. I never really saw it as seeing better, but it definitely helps with my concentration. It allows me to focus on what turns I am making, if I am in the correct lane, and it helps me make sure I do not go the wrong way. This is very interesting to me because I do the exact same thing but I've never really thought about it in this way before. I mostly do this when it's dark out or raining really hard and have to squint to see the road, I always find it's easier to see when the radio is turned off. It makes a lot of sense though because when we have two different stimuli grabbing our attention, it's really hard to put our full focus on just one of them. This was such an interesting topic to read about. I always seem to pull into a parking lot and turn down my music or when I get lost driving around. I really did not know there was actual reasoning behind this. Awesome post! This was a really interesting post! I actually do this all the time when I am somewhere I'm not familiar with. I am the kinda of person that can't multitask when I am somewhere new. But I never thought about it as being a way of encoding, where the brain chooses one task to primarily focus on and give less focus to the other task (which would be listening to music). Awesome Post!!! This is something great to read because of how true it is. I myself blast my music in my car when I drive to places and sometimes before I know it i arrived. I am not aware of my surrounding because of my music and its a good idea to pay more attention while driving.